Here in the H&H studio we have fallen head over heels back in love with Gold work. 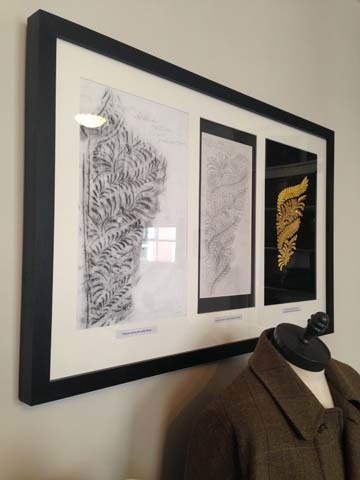 After having this lovely piece framed which was on show at the Henry Poole Exhibition at the Bowes Museum, we can;t get enough of this amazing technique. The series starts with the rubbing (far left) taken from a Privy councillors coatee. This was then turned into a clear trace of the original pattern from which an embroidery draft can be created (centre). 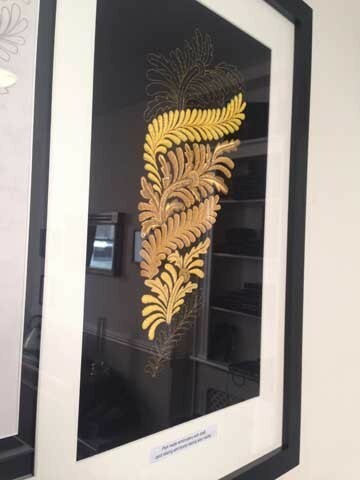 The far right image is that of the part finished embroidery showing the various layers that build together to make the final effect of the gold work. 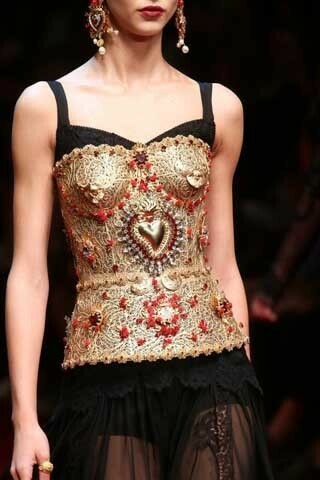 Now Spring/Summer 2015 fashion weeks have officially come to a close, we couldn’t help but notice some the the gold and metal work details popping up. 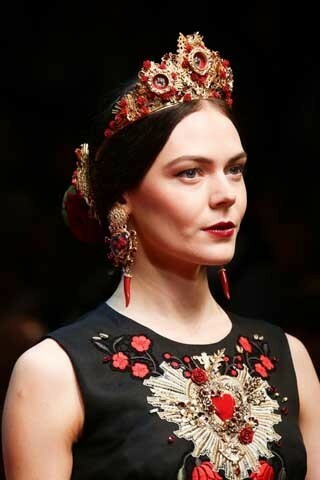 We can always trust that Dolce and Gabbana will display luxurious gold work inspired pieces and this season, they did not fail us. Dior took a more subtle approach, applying this tradition technique in the details of their long length jackets, bringing a lady like edge to these masculine shape inspired pieces.